This entry was posted in Death, Friends by ruthek. Bookmark the permalink. Hi Ruthe! I’m just catching up with my blogging friends. I see you’re planning another trip to Japan? Hope to hear more about it soon. I’m sure you’re excited about it. I recognize that cat in the window…. S/he’s in one of my photos from a visit to RAJA, too. That cat has a tough life, keeping up with the hubbub on Georgetown’s Main Street. 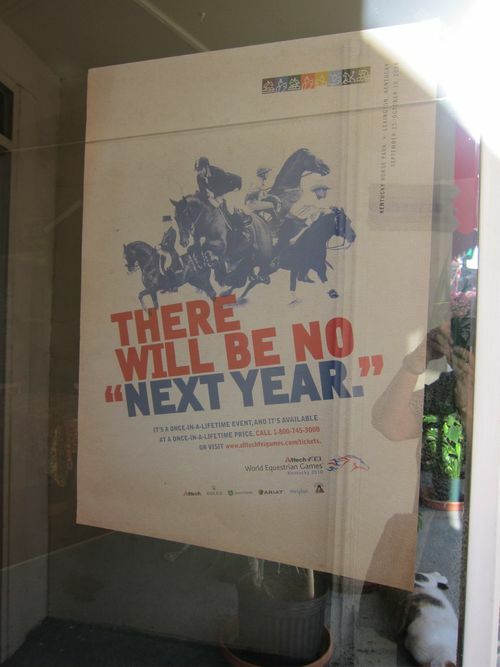 Correction–I do think there will be a next year for you. The poster it’s a good reminder to live in the moment, which I tend to do, in an optimistic way!